Considering the current state of the market, it isn’t necessarily the best time to be a homebuyer. The prices and competition for homes recently hit a five-year high, which, in turn, has led to a real estate market that is oversaturated with prospective buyers. On the other hand, buying a house is still cheaper than long-term renting in most major cities. With the right approach, there is no reason you shouldn’t be able to find and buy the home you want. In order to make the process of buying a house a little easier, we have listed a few tips designed to help homebuyers with their decision. 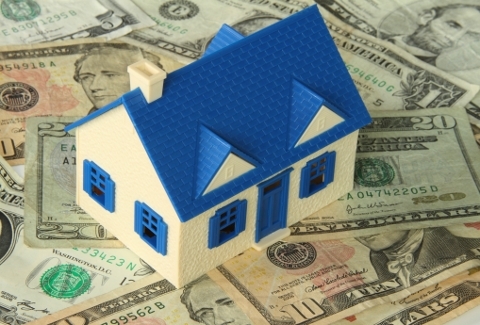 Low inventory levels and an increased demand for homes has led to bidding wars in many markets. According to online real estate brokerage Redfin, instances of home sales involving multiple offers have gone up by as much as 17%. During the months of January and February alone, 73% of Redfin’s agents said that their clients’ offers faced rival bids. The days when you could scoop up a house for 10% to 30% less than its asking price are long gone. Homes in most markets are selling for what their owners are asking for, unless, of course, the house is overpriced in the first place. 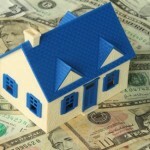 The fact of the matter is that homebuyers have started to get more realistic about what their homes are worth. Even shaky real estate markets are seeing homes sell for their asking price. Michael Murphree, a realtor in Birmingham, AL, says that buyers should base their offers on what’s happening in their market. If homes are still selling below their list price in your area, make an offer that is no more than 2% to 3% below what the the owner is asking for. In places where homes are being sold for more than their listing price, you should make an initial offer that matches the asking price. Even though home prices have gradually risen throughout much the country, you shouldn’t necessarily expect them to continue doing so in your area. Every market is different when it comes to the staying power of real estate, so purchasing a home with the assumption that its value will continue to rise could be a mistake. Jed Kolko, chief economist at Trulia, claims that many of the areas that saw a rebound in home values did so only because prices had previously fallen so low. “In rebounding markets, recent price gains may not last,” he said. For short-term homebuyers and investors, a market’s ability to maintain long-term growth probably won’t matter much. But for those who are looking to purchase a house for the long run, an area’s real estate prospects should be an important consideration. To get a better understanding of what the real estate situation is in your market, it’s a good idea to start by looking up the local foreclosure rates. Websites like RealtyTrac.com should be able to give you a basic idea of what’s happening in your region. It is also recommended that you discuss your area’s real estate prospects with a local broker, who should be able to provide you with more information on the the market.